Hello! 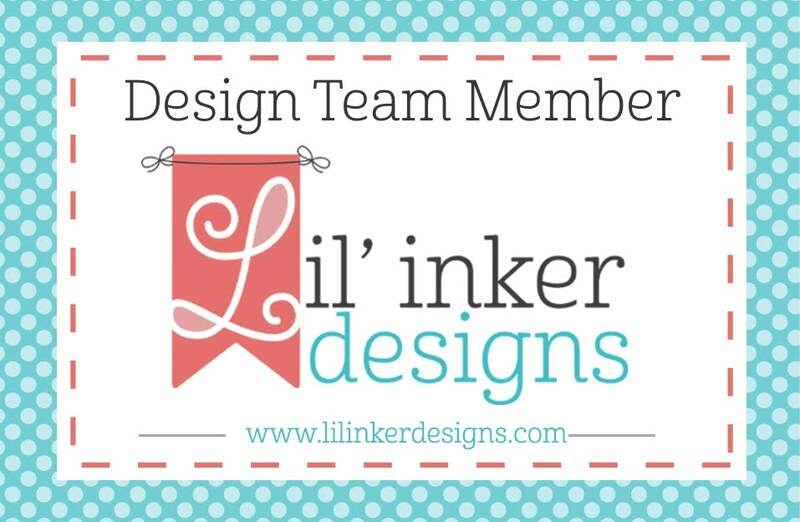 The day has finally arrived to share all the projects I have been working on for the new release at Lil' Inker Designs! 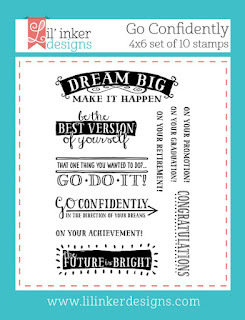 Super excited about this release - there is a wide range of fun new goodies being released! 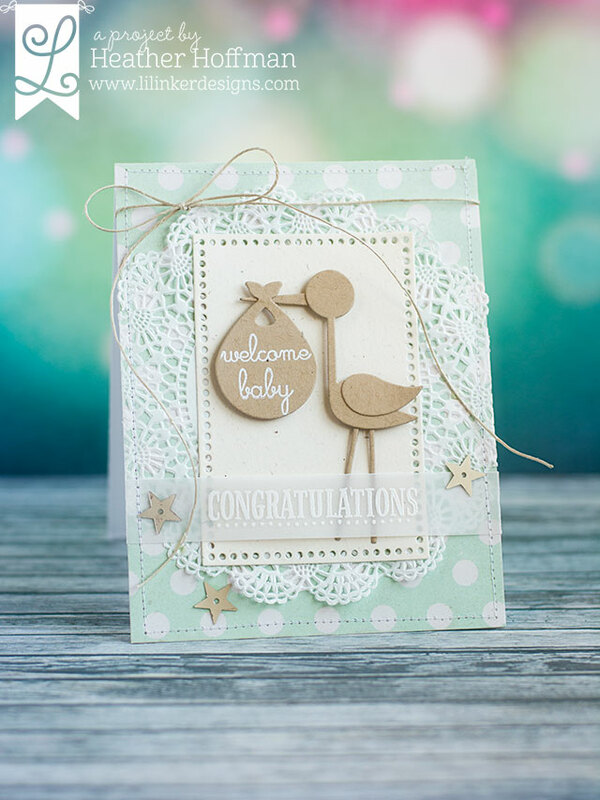 My post for today is all about the baby cards! I used LOTS of the new releases - they are all hiding on here in some form or another! 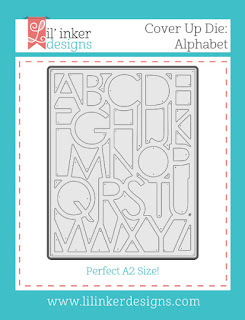 First up a card requested by my hubby for a co-worker. 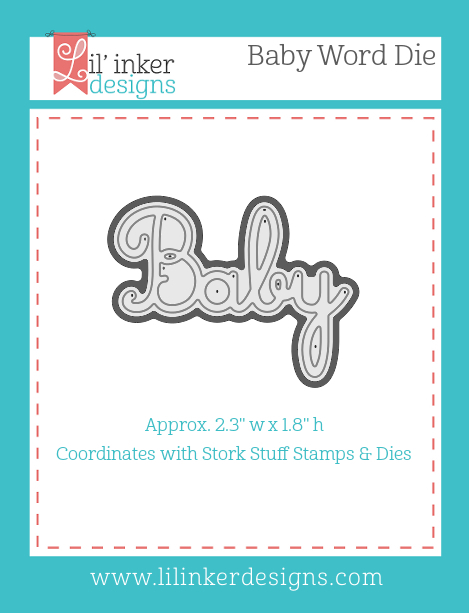 His boss was going to go pick up a card for one of their group who was expecting a baby, and my husband figured I would either have, or could quickly make something (he knows me well!) :-) He couldn't remember if it was a boy or girl, so I made it somewhat neutral, just to be safe! 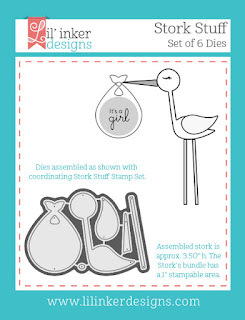 I die cut the stork quite simply out of kraft paper, and heat embossed my sentiment. Pattern paper is from MME, added a doily and some machine stitching, as well as some star sequins and a bit of hemp twine. 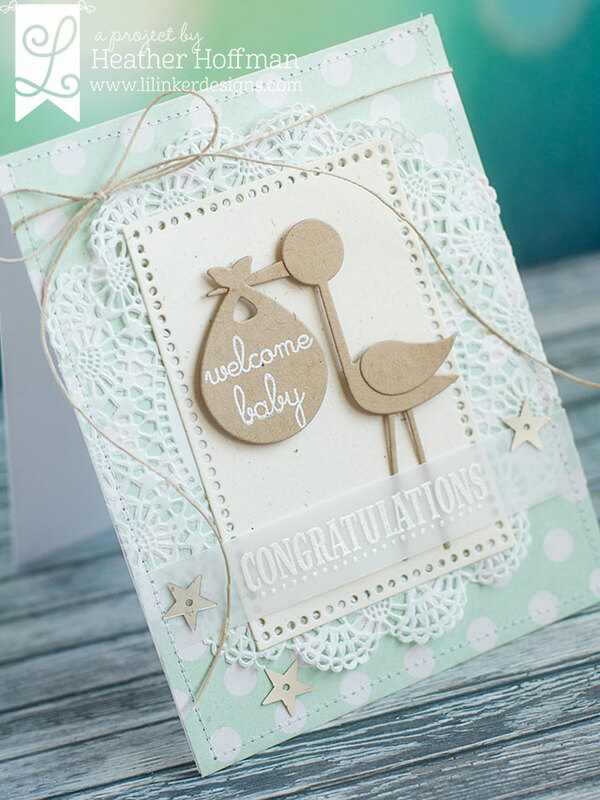 Congratulations was heat embossed on vellum and folded around and stitched on. 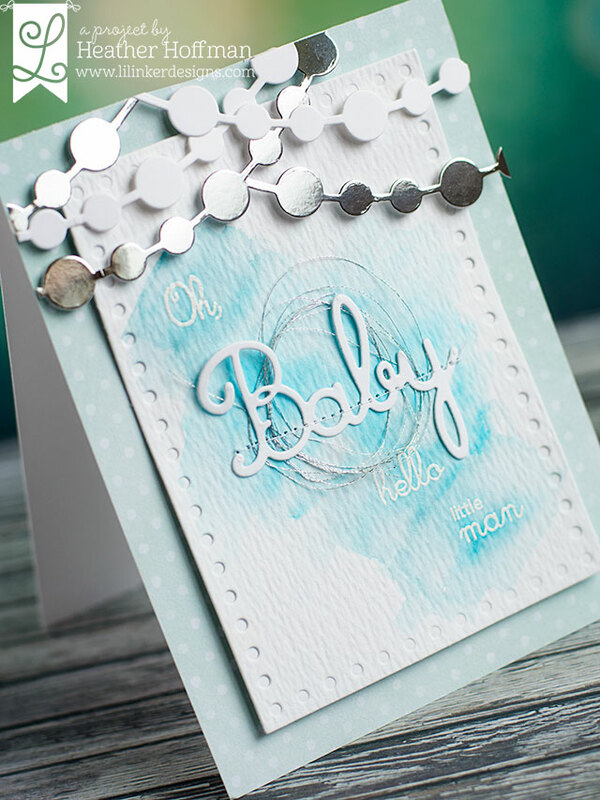 Next up, I made a baby boy card - love all the sentiment possibilities with these sets! 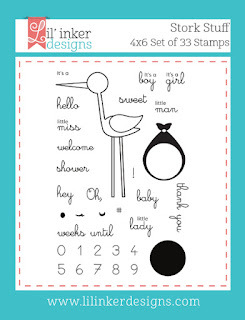 I also used the little sentiments from the Stork Stuff Stamp set shared above. I used watercolor for my background, and machine stitched on the center word with a bit of silver thread. 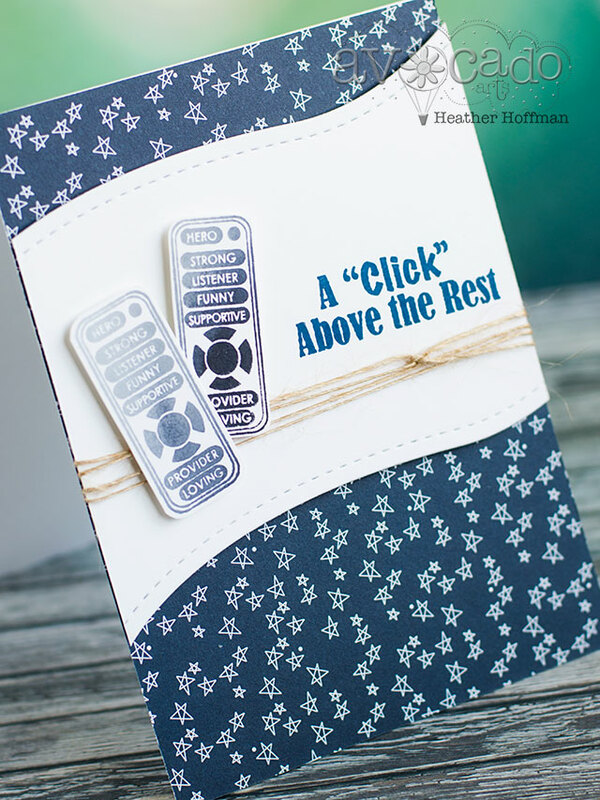 The little sentiments were heat embossed in white. 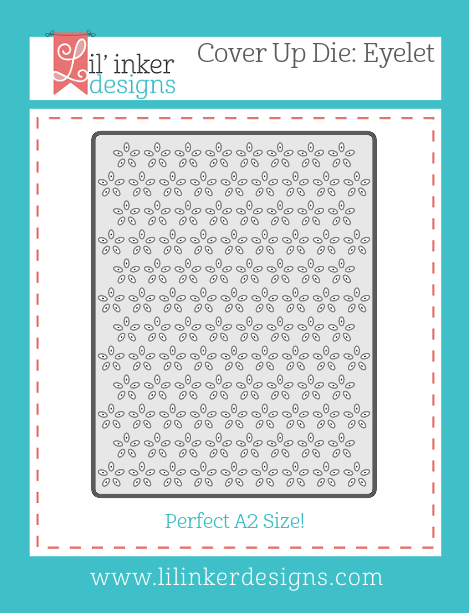 Pattern paper is from American Crafts, and I die cut the dot banners with white cardstock and shiny silver cardstock. Finally, a card that is ALL girl! 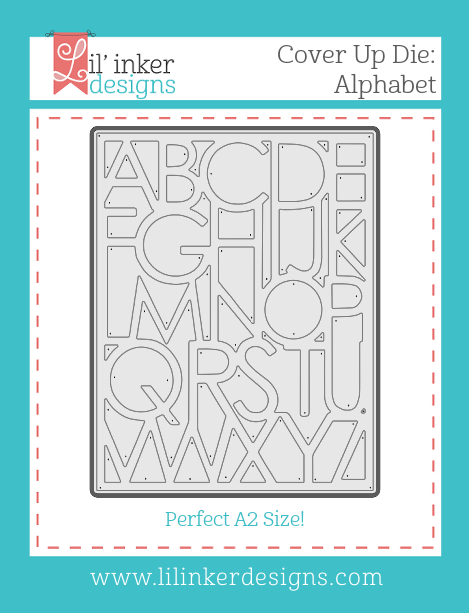 For this one, I used the Eyelet to emboss instead of die cut - simply by layering together with some embossing pads. Almost makes it look like textured pattern paper! I then layered the Alphabet die over the top, and stamped the stork and sentiment from Stork Stuff stamp set shown above on vellum. 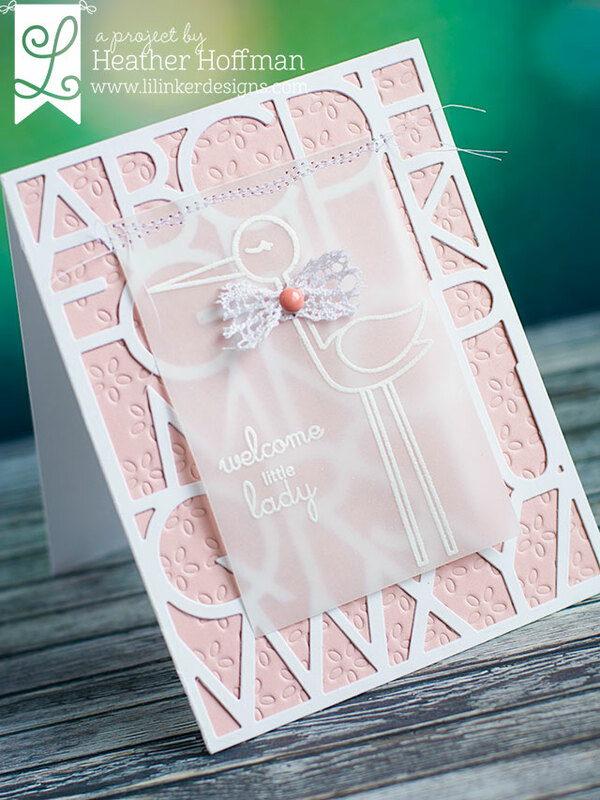 I added a little bow that I made with a scrap of lace, and a tiny enamel dot, then machine stitched that panel to the front of the card, leaving some loose threads hanging. 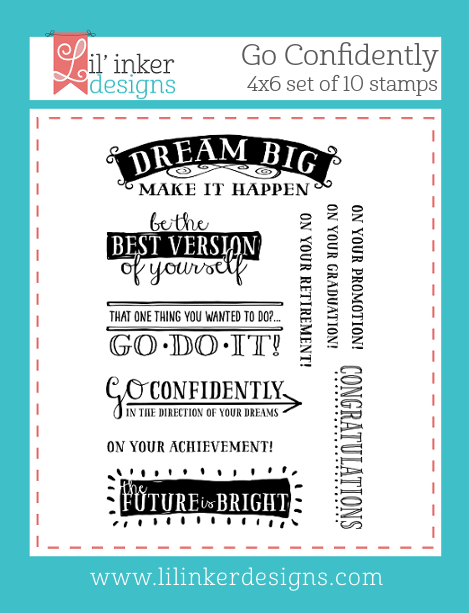 Here is the entire Blog Hop line-up - make sure and check out what the rest of the Design Team has been busily creating to share today! And don't forget to leave a comment to win one of three $15 gift certificates that Laura is giving away to celebrate the new release! 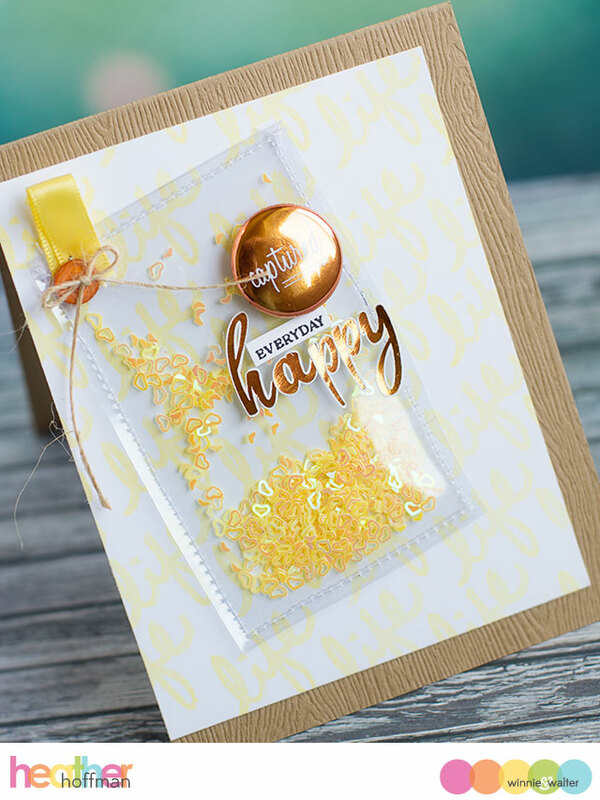 I just ADORE the tiny little yellow confetti that came in the kit - and it was so adorably packaged in a little test tube. 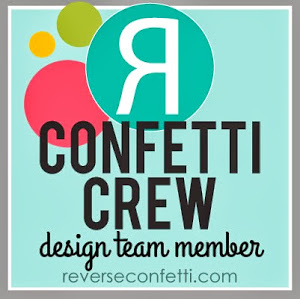 I sewed two pieces of acetate together on 3 sides, filled it full of the confetti, then sewed the top closed. 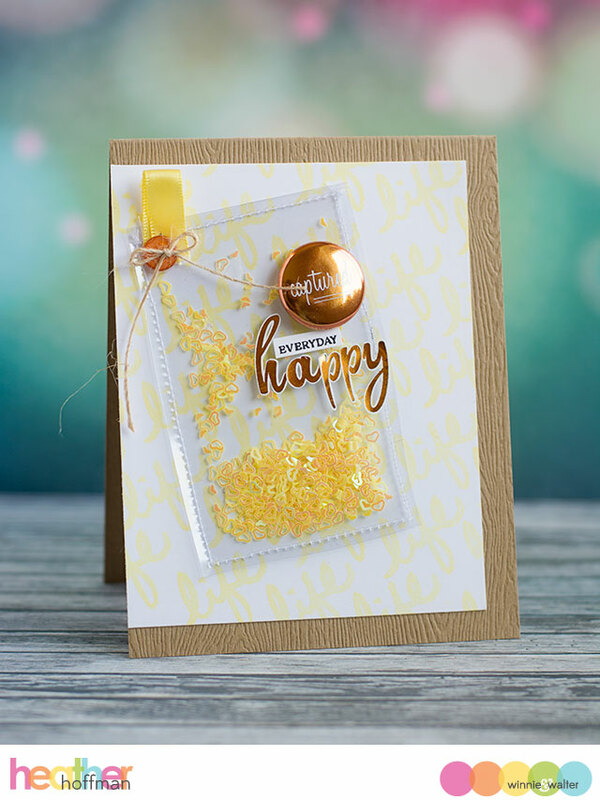 added one of the copper flair from the kit, some of the copper stickers, and stamped one of the tiny words from the stamp set to complete the sentiment. Added a bit of ribbon, a button, and some jute twine to the top corner. 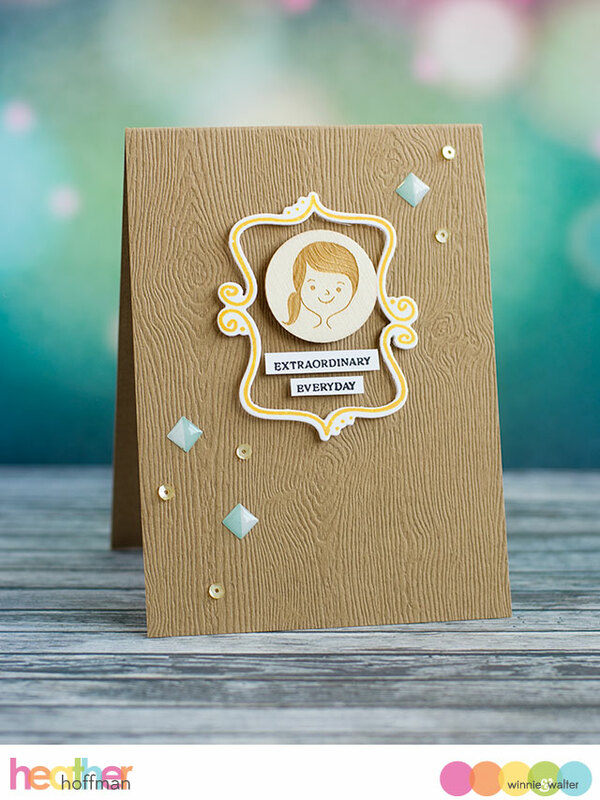 I used the "life" word stamp from the set to create a soft background, then attached everything together on a woodgrain cardbase. I used some shiny gold foil cardstock to cut the frame, as well as in white to inlay inside it. I had to sneak a few more of those heart confetti in there - so I made a tiny shaker window using one of the butterflies from Winnie and Walter's Essentials: Audrey Cutaways. 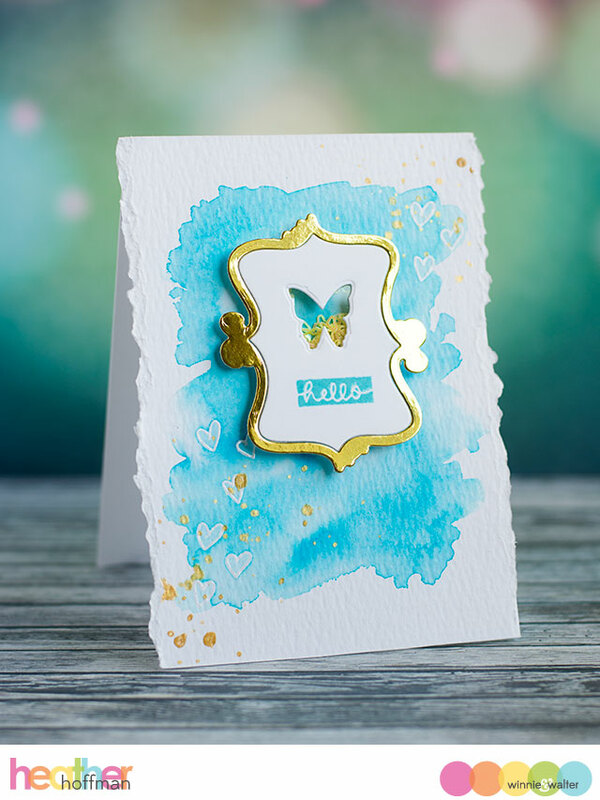 Stamped some of the tiny hearts from the stamp set and heat embossed in white on watercolor paper, then created a watercolor background and flicked on some gold Heidi Swapp Color Shine. Once that dried, I tore the edges and mounted on a slightly smaller card base. It is seriously the cutest little shaker!!! For this one, I stamped and die cut the frame, used tiny pieces of foam adhesive, and adhered it to the woodgrain cardbase. 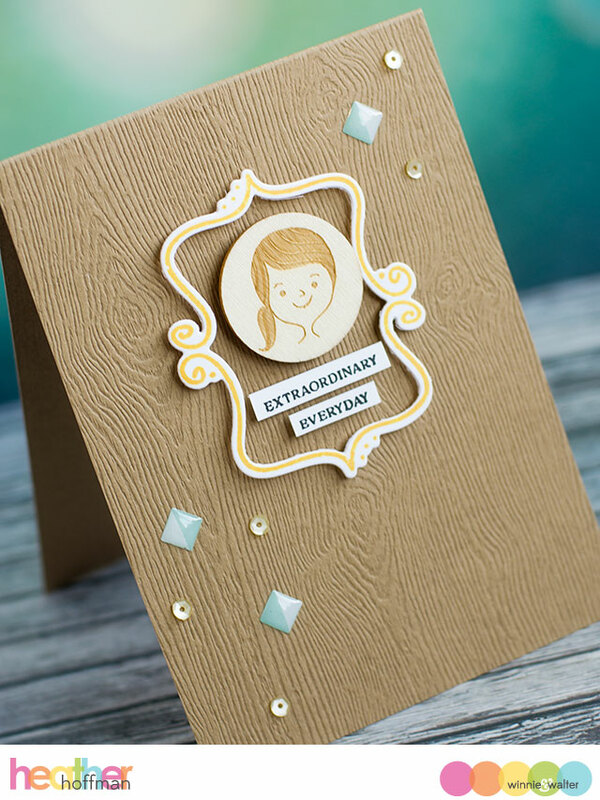 Added one of the wood veneers, the sentiment from the stamp set on thin strips of cardstock, and added some of the epoxy stickers and a few sequins to finish it off. Super clean and simple! Thanks so much for stopping by today! 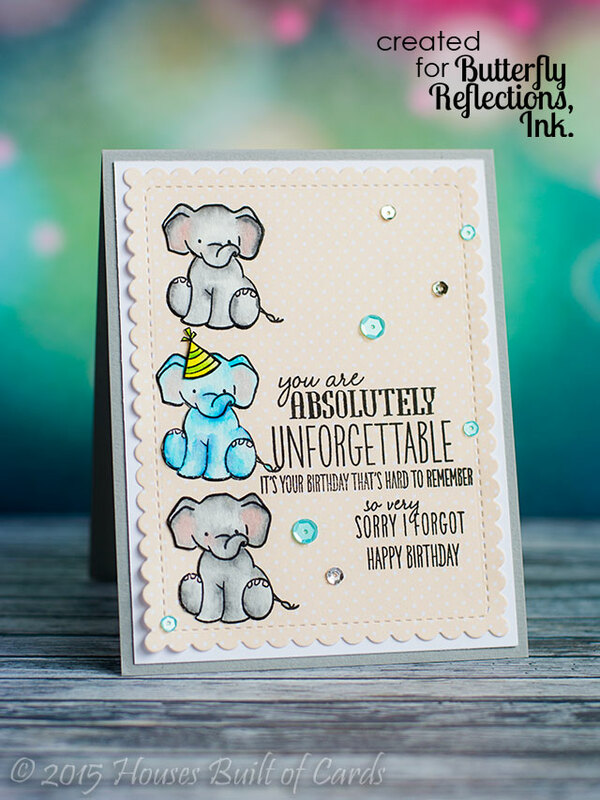 Make sure and visit the Winnie and Walter blog to see what the Design Team has created with this kit, and visit Pinkfresh Studios to check out this and some of the other kits that they carry! Good morning! 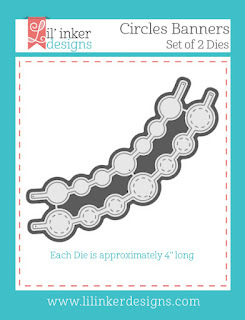 Popping in with a card I managed to sneak in the other day for Unity Friends with Flair this morning! Been super busy crafting for Design Team work, so was super happy to have a few minutes to play just for fun! 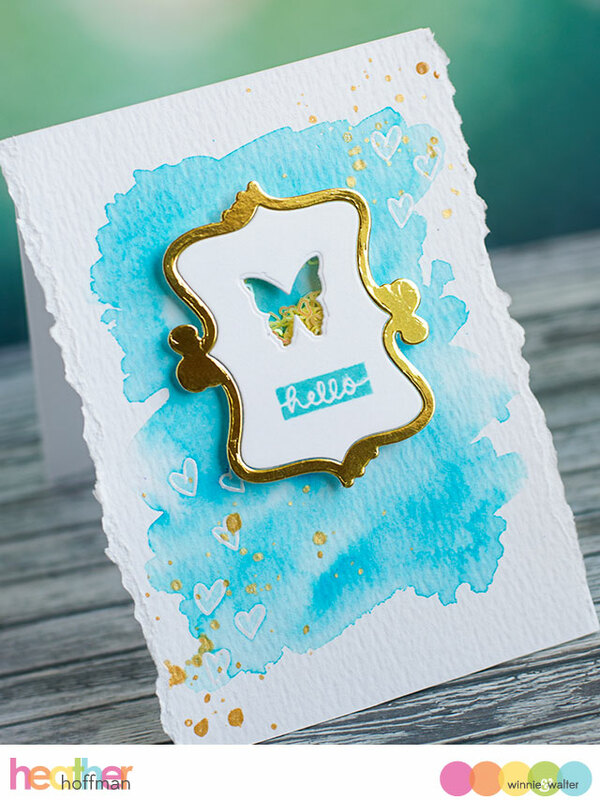 For this card, I played with my Unity May Kit of the Month and my brand new Zig Clean Color Brush Tip Pens - love them so much! 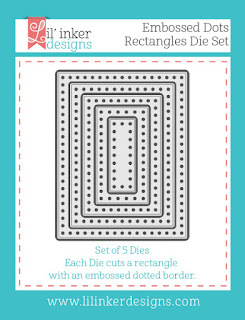 Used some American Crafts pattern paper, a die from Lil' Inker's Designs called Stitched Mats: Side-Stitched Rectangles. Used a bit of machine stitching on the side, then added a bit of folded doily, some May Arts ribbon, a tiny paper clip, and a bit of jute twine for an embellishment to finish it off! Thanks for dropping by! I'll be back a bit later this morning with another fun post! See you then!!! Good morning! The blog has been a bit quiet lately, in case you hadn't noticed! 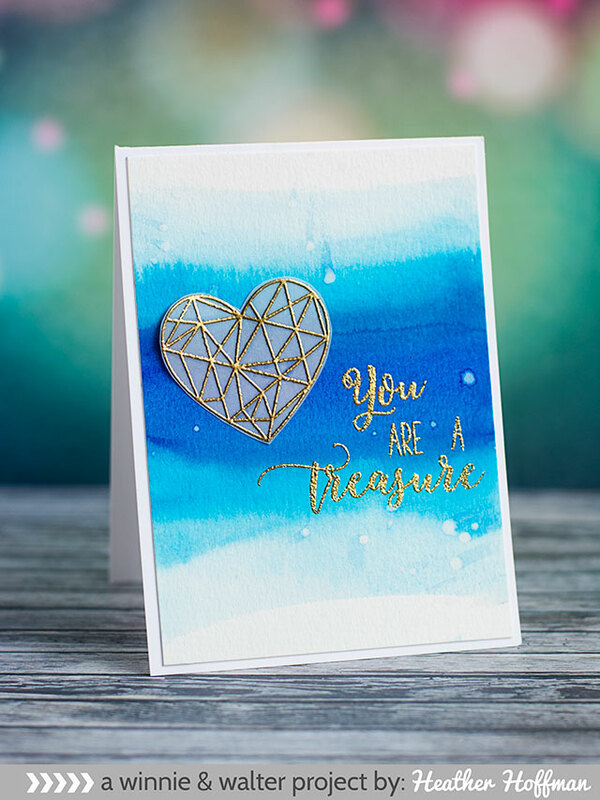 But I have been super busy behind the scenes - crafting, crafting, crafting - and getting ready for new releases and guest design posts, a new design team (eek! can't wait to tell! ), and regular scheduled design team work. So, even thought you will start seeing all that stuff soon, it hasn't left me much time to work on stuff to share sooner! 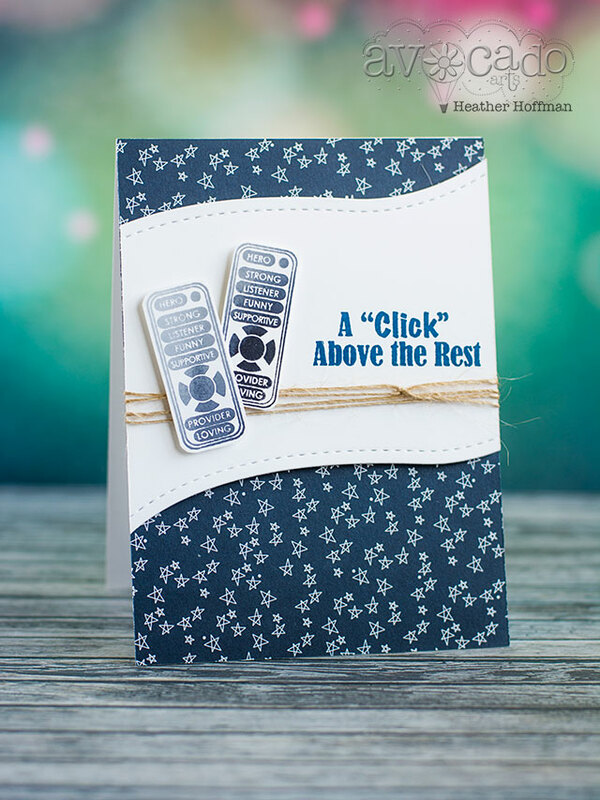 So here is a card from last year on the Splitcoast Stampers Dirty Dozen that I haven't shared here yet - a fun Father's Day inspired card! 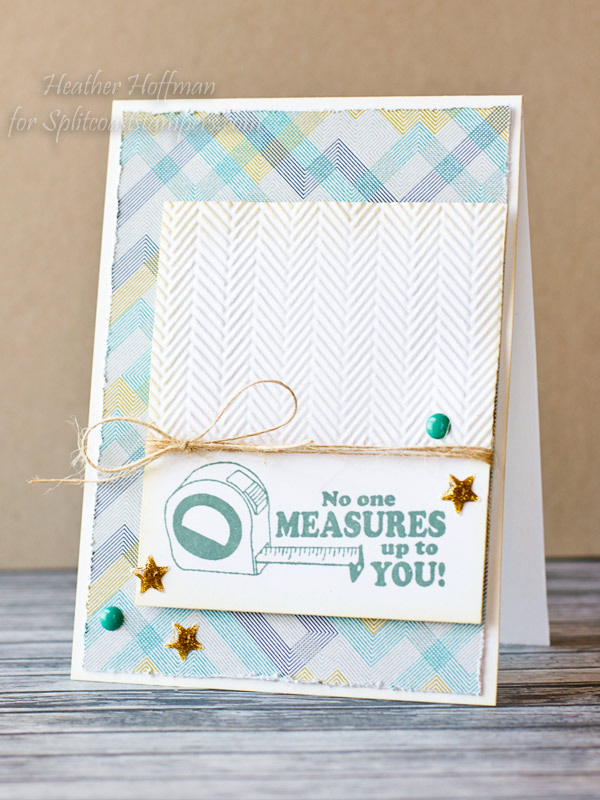 I used Avocado Arts Just Fore You stamp set, some distress ink, jute twine, and embossing with my Cuttlebug. Pattern paper is from my Mind's Eye, with a bit of distressing on the edges of that as well. Finished off with a few Eyelet Outlet Enamel dots. Thanks for dropping by! 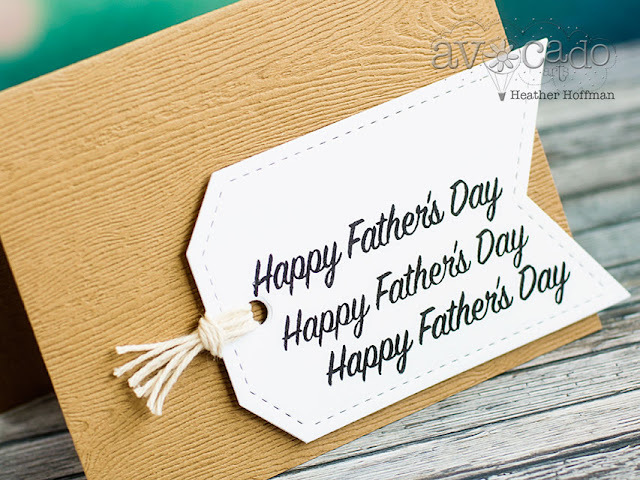 Hope you are having a great day! Good morning everyone! I'm posting again this morning on the Butterfly Reflections Blog. 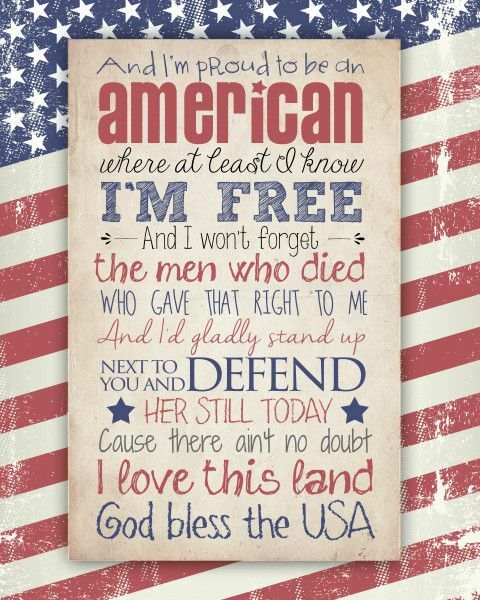 First of all, I wanted to take a few minutes in honor of Memorial Day today, to say thank you to all those who have fought and died - and served and sacrificed so much for this country. I for one am so grateful for all you have done! And speaking of remembering...please, someone tell me that I'm not the only one to forget birthdays? Sometimes they slide right past - and I feel so bad, because I absolutely LOVE the person who's birthday I forgot, but somehow still managed to miss it in the busyness of life! 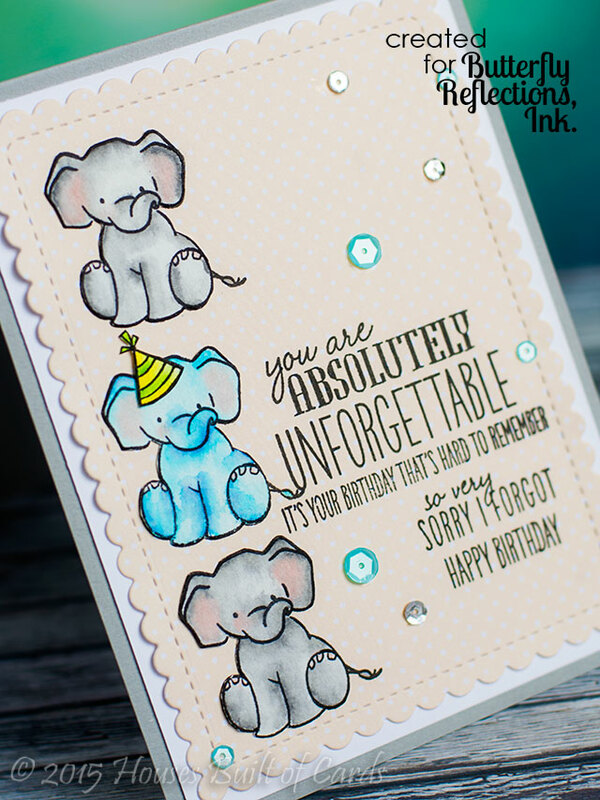 So...obviously, I LOVE this sweet sentiment from Wplus9's Unforgettable Stamp Set - especially when paired with the adorable elephants in the same set! I just received a brand new set of the Zig Clean Color Brush Tip pens, and couldn't WAIT to try them out! 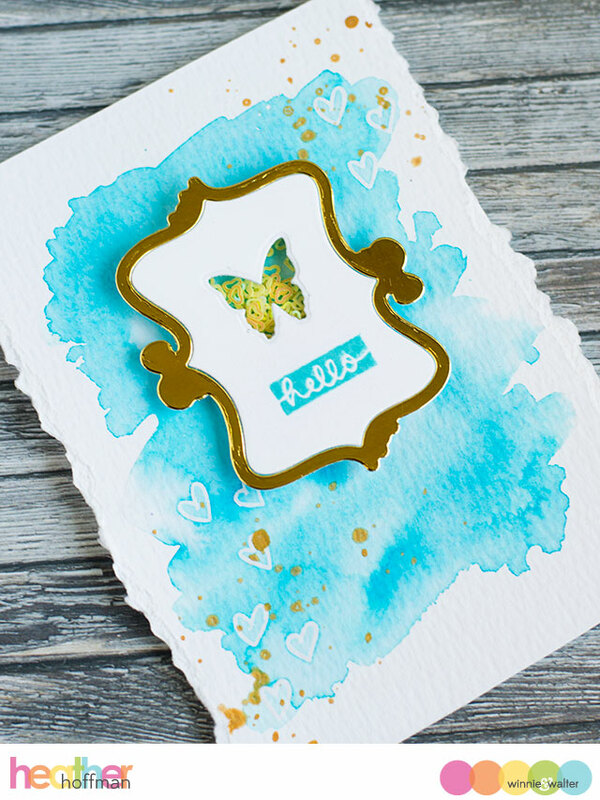 Keep an eye on the Butterfly Reflections Ink Store, because I think there is a good chance Vanessa might begin carrying some of them if you want to try them out - I'm officially in LOVE with them! Made watercoloring these cuties so easy! And MFT's Black Licorice Hybrid Ink Pad is perfect for watercoloring - dark and crips and waterproof, and I love that it also works perfectly with Copics. Very versatile! I colored two of them more traditionally gray, but I wanted to make the one a little more "unforgettable" (get it?) 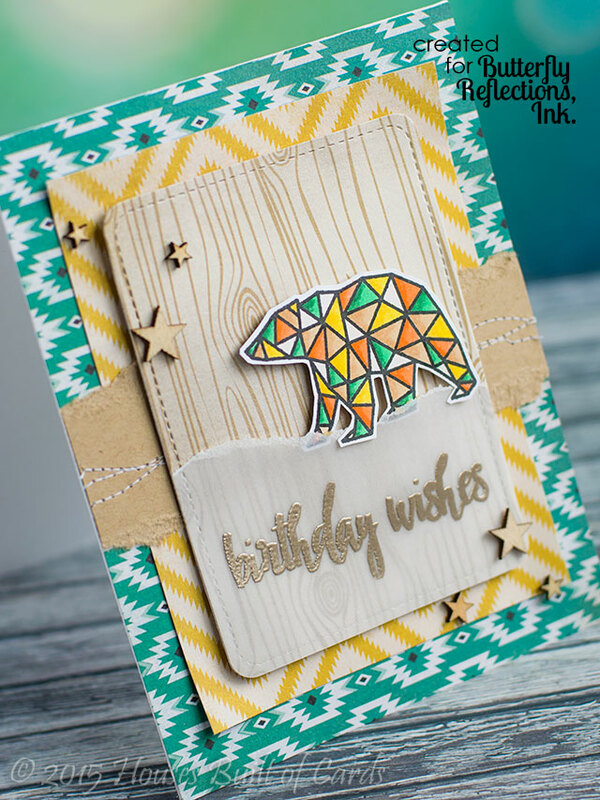 I fussy cut them (minus the tails) out of my watercolor paper, then paper pieced then on a panel die cut with Wplus9's Sunshine Layers Die from some pattern paper from Lawn Fawn's Let's Polka Mon Amie 6x6 paper pad. Finished off with a few sequins - just for a bit of fun sparkle! And in case you missed it, today is the last day to take advantage of the amazing sale going on as well - make sure and go check out the remaining inventory - there are still some great deals to be found! 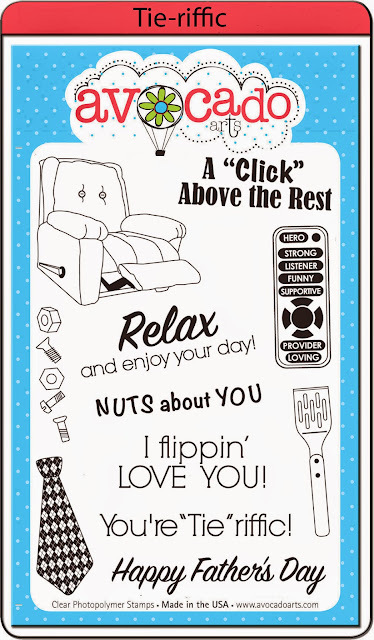 I started off with the fun remote control - do you see the fun sentiments that are even on that?!?!? 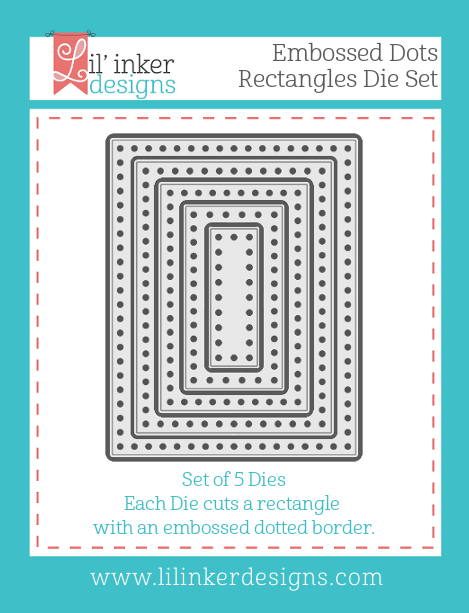 I used Hero Arts ombre inks to stamp them, fussy cut them out, then attached with foam adhesive to my panel that I cut with a wave border from Lil' Inker's Border Builders Die Set. I also wrapped some jute twine around and knotted it in the front - a bit more masculine than a bow! Added my sentiment, then attached to my pattern paper with foam adhesive. I stamped it on pattern paper, then fussy cut it out. 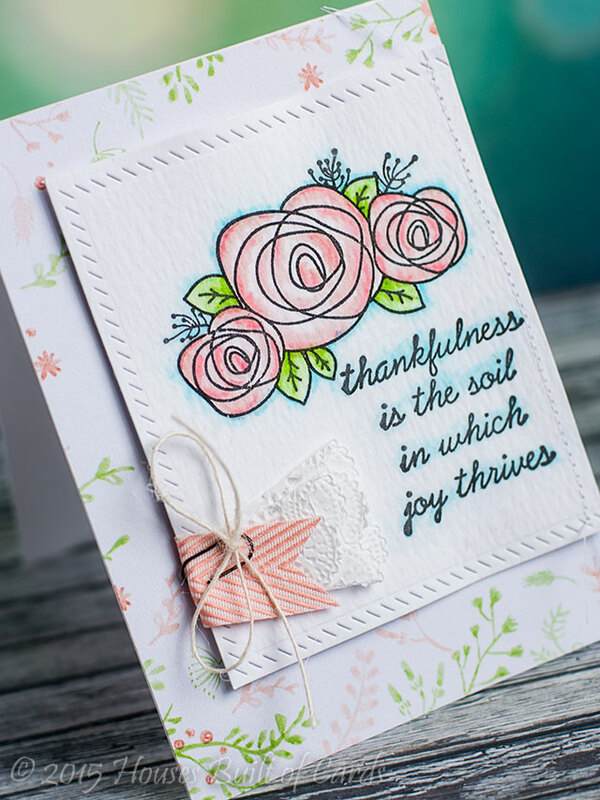 Adhered it with foam adhesive to my card on which I had stamped my sentiment in two colors, and layered over a die cut oval (Lil Inker's Stitched Mats: Ovals) and a bit more pattern paper. Added a few enamel dots to finish this one off. And finally, a super simple card - which usually means the perfect masculine card, right? 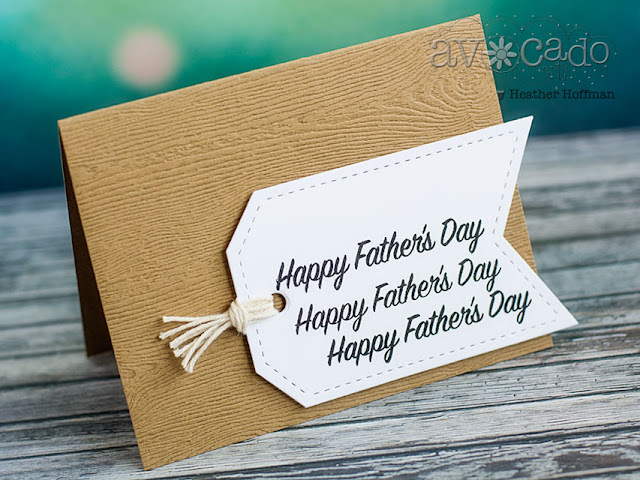 I simply stamped the Father's Day sentiment 3 times on a die cut tag (once again from Lil Inker's - Anytime Tags Die Set 2), added some string to the side, and attached to a woodgrain cardstock cardbase. 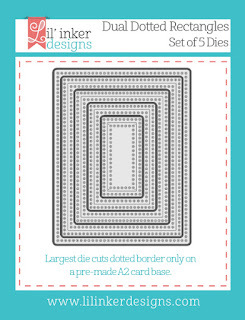 Masculine cards tend to come a bit harder for me, but this stamp set definitely made it easier! Thanks for stopping by today! Have a wonderful day!!! Good morning! 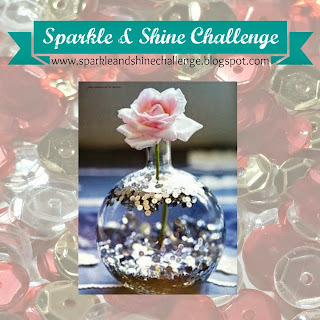 It's time for a new challenge over at the Sparkle and Shine Challenge Blog - this week we have a beautiful photo inspiration, and a prize sponsored by Winnie and Walter! Here is the photo inspiration we have to play with this time around - could it be more lovely? I started off by die-cutting my front panel out of watercolor paper with Winnie and Walter's Essentials: Audrey Cutaways - I'm in LOVE with those beautiful scallops and dots! 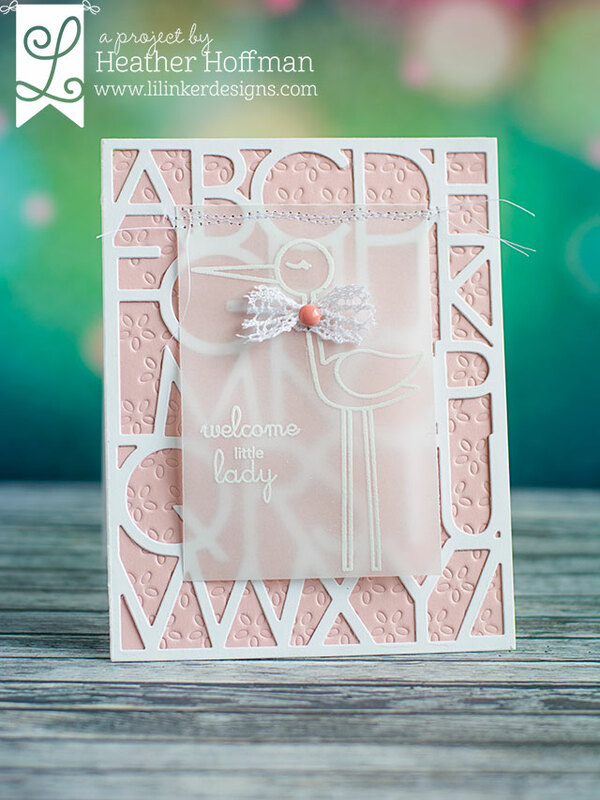 I then stamped my scene using In Bloom: Lola's Bouquet and In Bloom: Addie's Garden and heat embossing in white. I painted it in with watercolors - SOOOO love playing with those! 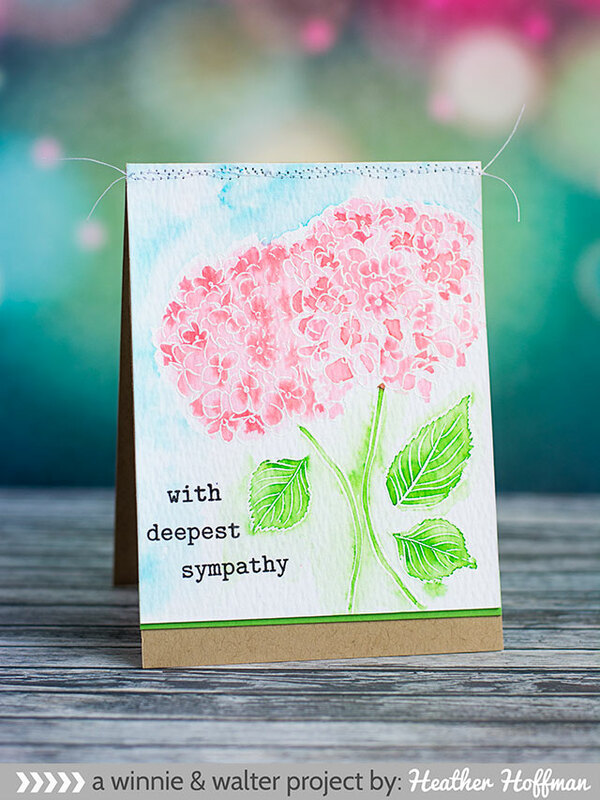 I then added my sentiment die cut in vellum from The Big, the Bold, and the Comfort Cutaways, and attached it with staples. Finished off with a sprinkling of Pretty Pink Posh sequins in Crystal Clear, Lime Sorbet, Watermelon, and Aquamarine. I hope you will join in and play along! 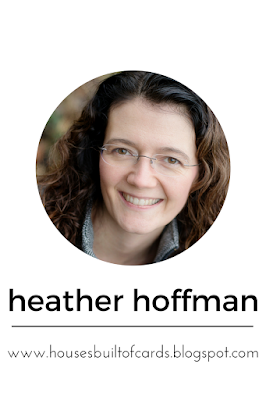 Looking forward to seeing your creations! Have a wonderful day!!! Good morning! 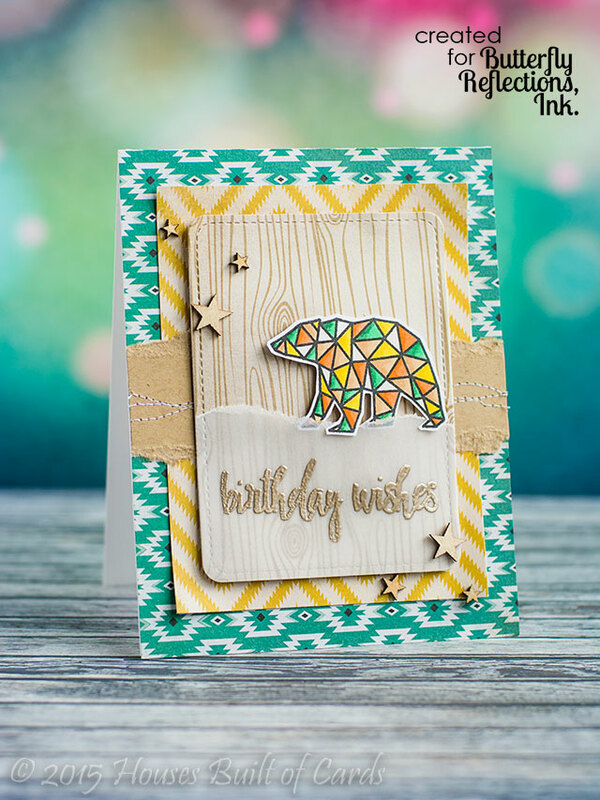 I'm posting again over on the Winnie and Walter blog this morning to share a couple more cards with some of the amazing new sets from the most recent release. For both of these cards, I played with one of my favorite techniques - watercolors! 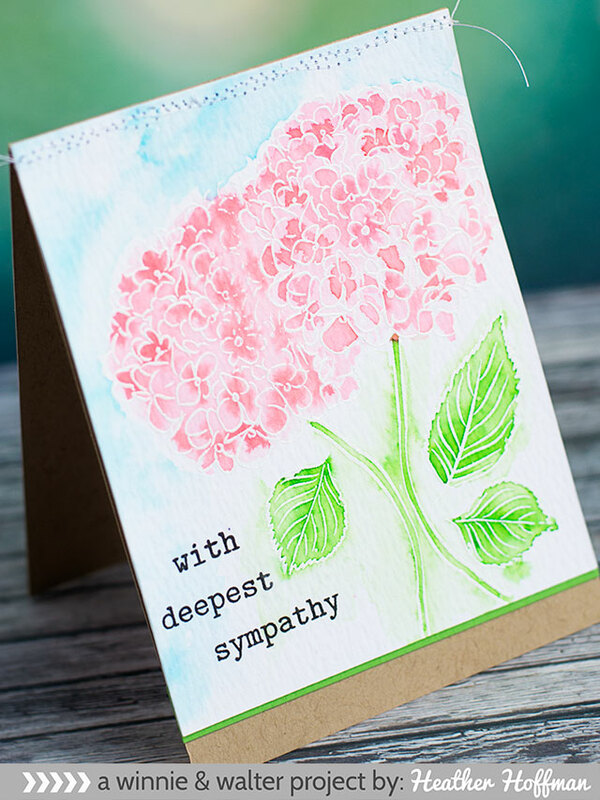 First up, a floral sympathy card - I just can't get over the beautiful florals that Winnie and Walter released this time around! 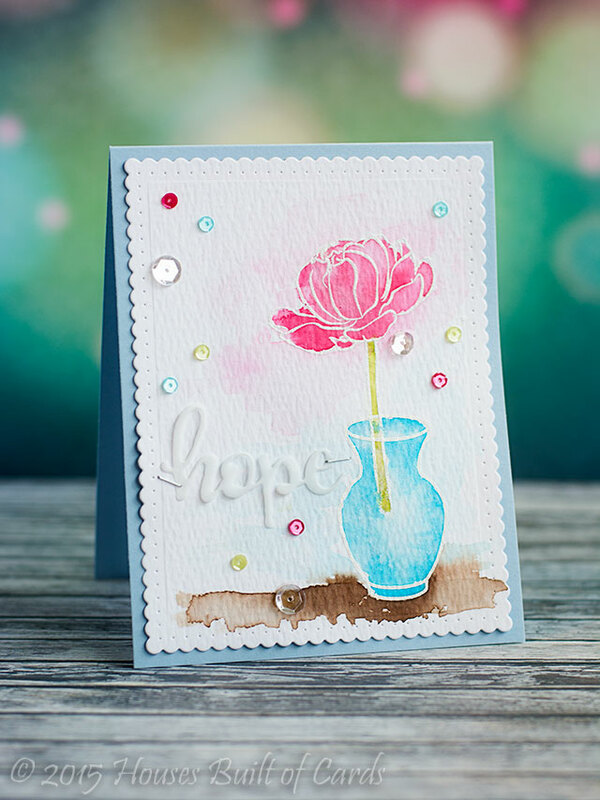 For this one, I simply heat embossed my images from In Bloom: Addie's Garden in white on watercolor cardstock, then colored it in. I pained teach part with a light watercolor wash, then dripped in darker colors in certain areas and let it bleed out for a natural look. 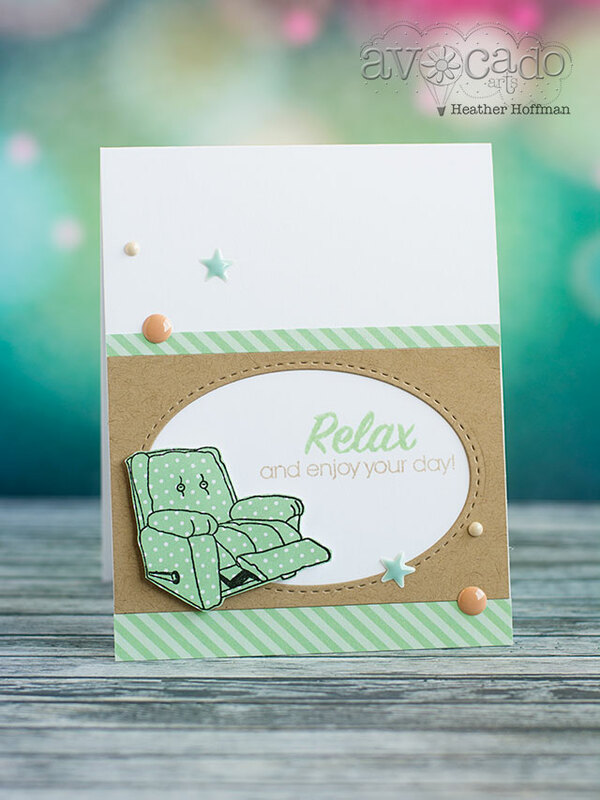 Added a sentiment from The Big, the Bold, and the Comfort, a strip of green cardstock, and then machine stitched it right onto my kraft cardbase. Next up, I wanted to attempt an ombre look with watercolors. Instead of starting at the top or bottom, I went out from the center. 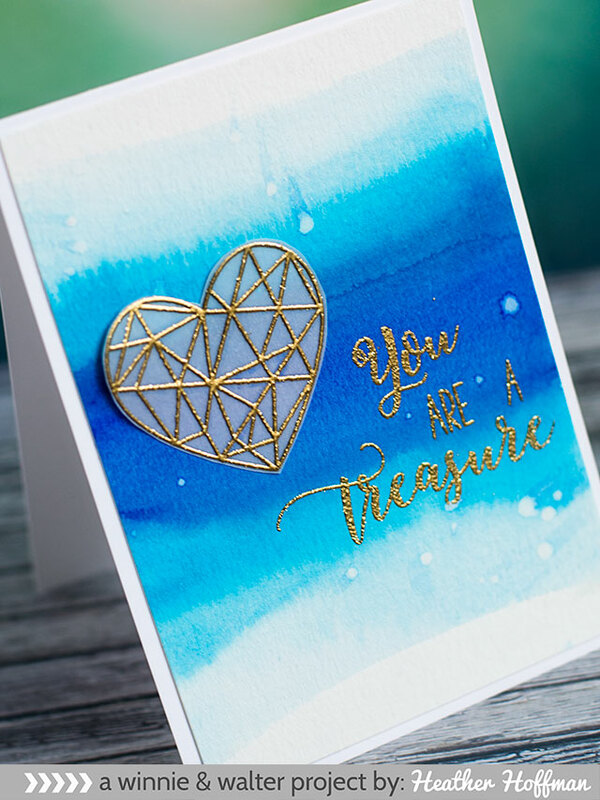 I love the deep blue, and it was just natural to pair it up with some gold! I heat embossed the heart from True on vellum, then fussy cut it out and adhered it with tiny dots of glue behind the embossed parts. 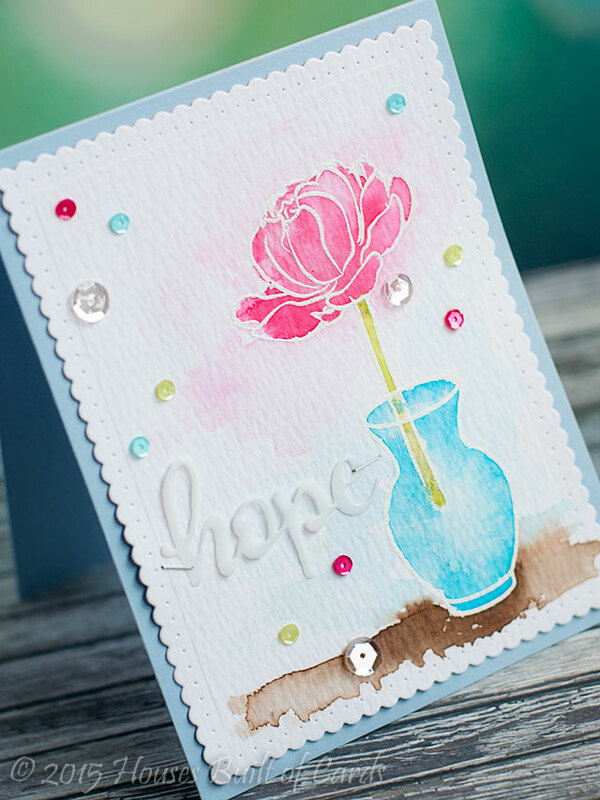 I then built and stamped my sentiment directly on the watercolor paper using that same set, as well as My Precious. 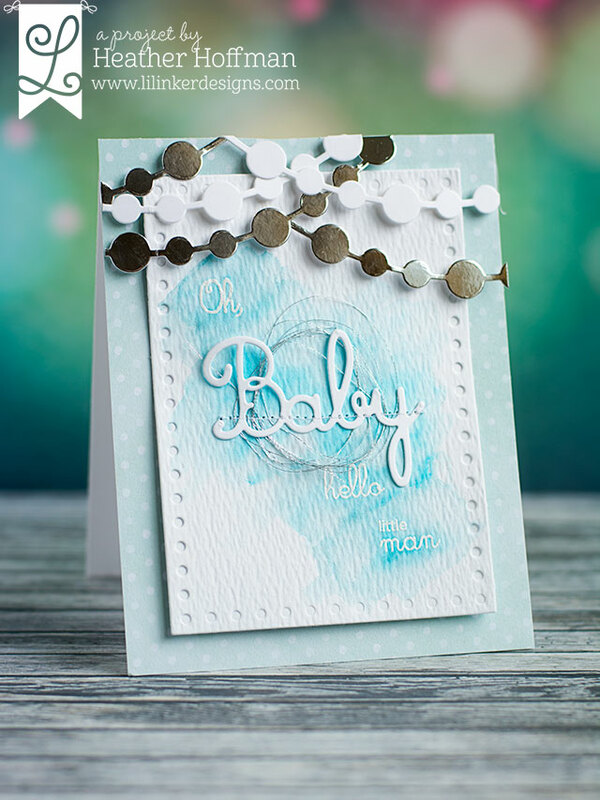 Finished off with a few flicks of white Mister Huey's mist, and then adhered directly to a white cardbase.